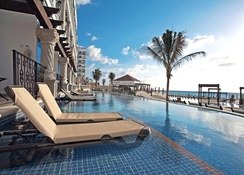 Situated on the widest stretch of Cancun's prestigious Hotel Zone, Hyatt Zilara Cancun is an adults only property fringed by gorgeous white-sand beach and the exciting city centre. This all inclusive venue invites guests to experience true Mexican hospitality in an intimate setting by the Caribbean Sea. 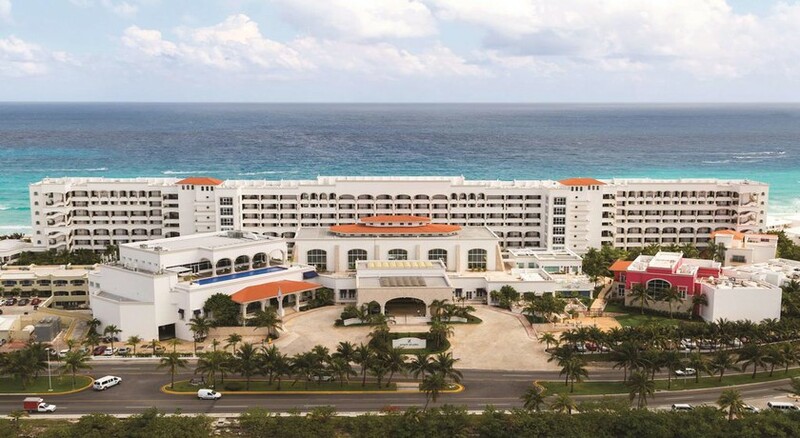 The hotel has 307 luxury suites complete with light, contemporary décor and stunning ocean views to match. If you can drag yourself away from the comfortable king size beds, the hotel offers numerous attractions to ensure guests are entertained throughout their stay, with two large swimming pools and whirlpools, a fitness centre and spa, variety of interactive classes and tastings from morning yoga to culinary workshops, a bunch of watersports, plus evening entertainment – think extravagant circus shows and authentic club nights. 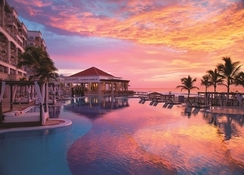 The dining options at Hyatt Zilara Cancun are aplenty, with six spectacular restaurants and five bars to relax in – whether you want to wine and dine al fresco style or opt for a la carte. 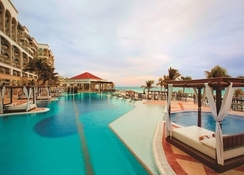 Hyatt Zilara Cancun sits just a few meters from the twinkling shoreline and is just 15-minutes from Downtown Cancun, where you'll find shops, restaurants, bars and entertainment. 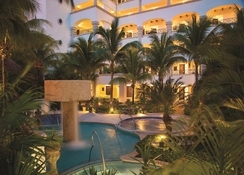 Cancun International Airport is the closest, a 20-minute drive away. Hyatt Zilara Cancun has 307 elegant and spacious suites sporting contemporary interiors complete with stunning sea, pool and resort views. The varied rooms types offered by the resort include Standard, View and Premium. Each of the rooms are outfitted with direct dial telephones, espresso maker, pivoting 42-inch satellite TV, laptop size safe, iron and pressing board, minibar, work station with work area, lamp, WiFi and a furnished gallery. The hotel also offers suites if you want to turn the luxury factor up, with Ocean View & Ocean Front Suites and Swim Up Suites. Some suites have their own semi-private pools, too. 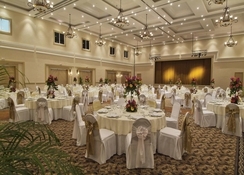 The beachfront resort also offers 6,888 square feet of meeting and event space, including a beach area and terrace. Asiana, Chef's Plate, Maria Marie, Spice, Pelicanos, Tapas and Pintxos and Coffee House are the fine dining eateries at Hyatt Zilara Cancun that serve up flavours from various regions. While Asiana serves contemporary Asian cuisine at lunch and dinner, Maria Marie is evening-only serving Mexican cuisine. Chef's Plate is for international cuisine and is open for supper by reservation. Zest serves Nouvelle cooking and is open for breakfast, lunch and supper. Pelicanos serves a la carte international dishes. The café serves an array of treats, baked goods and frozen yogurts. There are several bars and parlours, which serve delightful beverages and light bites. 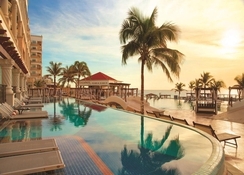 Hyatt Zilara Cancun features a swimming pool, tennis court, fitness centre, spa and a bicycle centre. There is a swim-up bar and in-pool lounge for guests to relax in. The hotel is situated right on top of the beach, making it easy for you to enjoy various watersports. The spa at Hyatt Zilara Cancun features sauna, polish massage waterfalls, dual temperature whirlpool tub, steam room and cold plunge pool.